Choosing a safe and effective flea and tick preventative can be a challenge. We, as pet parents, need to protect our pets from these pests and the diseases they carry. We must also consider how the chemicals used in flea and tick treatments may affect our pets and other members of our families. Flea collars and topical flea treatments may be effective forms of flea control, but they also expose non-furry family members to the active ingredients that may cause health problems. This is why new oral flea and tick treatments have become extremely popular in recent months. If you are considering this option, or even if you are already using oral flea prevention for your dog, read on to learn about the latest advancement in chewable flea and tick prevention. In years past, our only options for flea and tick control were powders, sprays, and collars. Powders and sprays could be extremely messy and difficult to apply without danger of inhalation for both humans and pets. They also needed to be reapplied fairly frequently. While collars were somewhat of an improvement in this regard, they still contained chemicals that were either gaseous or powdery in nature. 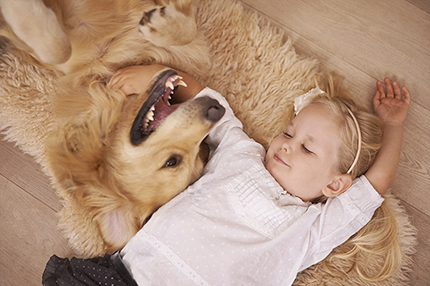 It was often necessary to remind our children not to touch or play with the collar, and be careful to stay away from flea collars when petting or hugging our pets. Topical flea and tick preventatives were a welcome step up from previous options, in that they were long lasting and extremely effective. However, topicals can be an oily, sticky mess and still a concern when petting and cuddling your dog. Pet parents also had to consider whether a topically applied flea and tick preventative would lose potency with bathing or swimming. The debut of oral chewables was a welcome advancement in flea and tick prevention. With a single dose, you could protect your dog for a full 30 days (or more with some products) with absolutely no mess or concern about chemical exposure for your home and family. There was no chance of the treatment getting washed off or diluted when your dog bathed, went for a swim or got caught in the rain. Gone were the worries of a collar getting too tight or accidentally stuck on furniture or fences. Of course, there are pros and cons for each method and what is right for some pets may not be right for others. One downside of using oral flea and tick treatment has been that this form of prevention may take longer to kill and repel fleas that the previously mentioned products. As well, the depletion in effectiveness over time has been an issue. Simparica is the latest advancement in oral flea and tick prevention for dogs. This fast-acting formula is easy to administer and retains full effectiveness for one month to help prevent re-infestations. The active ingredient, sarolaner, works to inhibit the function of neurotransmitter receptors in insects to kill fleas within 3 hours of administration and ticks within 8 hours. Most dogs easily accept this tasty, liver-flavored tablet directly by mouth but it can also be crumbled and mixed with your dog’s favorite food. Simparica can be safely used year-round without interruption, so you can be sure your dog is protected against fleas and ticks, along with associated maladies such as flea allergy dermatitis and Lyme disease. Simparica requires a prescription, so be sure to ask your veterinarian if Simparica is right for your pet. Saw a commercial for this just yesterday. Needing to get something for my furbabies now. So many choices, so expensive. Not sure which way to go for the most effective product. I need to try this oral prevention! Nothing seems safe that is out on the market!